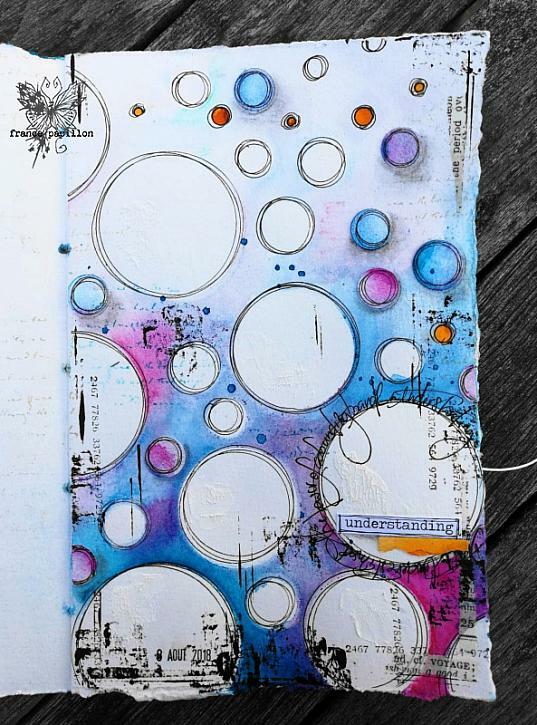 For this spread, I completely gave in to my current obsessions: circles, Phthalo Turquoise and Quinacridone Magenta. It felt so comfortable and enjoyable to give in, that this spread just flew out of my fingers! Watch the video until the end, to see how adding a tiny bit of contrast can make a whole spread come to life. Be sure to visit France Papillon's website for more projects and to learn more about France Papillon. a beautiful layout, judicious use of color and shapes. lovely peice by France.